Kerala University has published the Degree UG Trial Allotment 2018 for admission to various UG courses under the university for the academic year 2018 . The admission for the ug degree programmes are made through UGCAP 2018. The online registration to the UGCAP 2018 will be closed on 8-6-2018. The candidates can apply for Kerala university degree admission through UGCAP 2018 from the web site www.admissions.keralauniversity.ac.in. 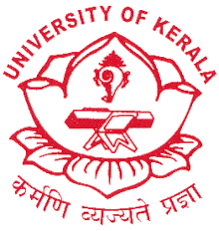 Kerala University published the UG Trial Allotment Result at www.admissions.keralauniversity.ac.in. Applied candidates can login using the application number and password to view the Kerala University UG admission 2018 trial allotment result from University admission portal. The trial allotment does not guarantee an allotment in a college or course to any applicant in the actual allotment and it is meant for giving an idea about the chances of getting allotment to a course and college, based on the options registered and the index mark of the candidate. After UG Trial allotment result, candidates can rearrange their options through www.admissions.keralauniversity.ac.in. The Kerala UGCAP 2018 candidates can follow these steps to check their degree trial allotment result from the university web site. The Allotment result will be displayed in the page. After the trial allotment and closing the online application registration, Kerala university will be published the first allotment in the website http://admissions.keralauniversity.ac.in. The first allotment date will be announced later.